Meet Vimbayi Kaziboni, the incredibly talented maestro who conducts in youtube videos with music by Patricio da Silva performed by the What's Next? Ensemble. Maestro Vimbayi Kaziboni has received considerable acclaim across the globe as a “vigorous conductor” (Wiesbadener Kurrier), “of great intensity” (Neue Musikzeitung), “imagination and sensitivity” (George Benjamin) and “absolutely superb interpretation” (Unsuk Chin). His young and versatile career has taken him to performances in Australia, Austria, France, Germany, Kyrgyzstan, the Netherlands, New Zealand, the Philippines, South Africa, the United Kingdom, the United States, and Uzbekistan, performing at some of the most prestigious concert halls in the world, including Carnegie Hall, Walt Disney Hall, Admiralspalast, Deutschlandfunk, Hessischer Rundfunk and Oper Frankfurt among others. In his role as the Principal Conductor of the 2012-13 International Ensemble Modern Academy (IEMA), Mr. Kaziboni led many critically lauded performances in venues and festivals throughout Europe and also led the ensemble in their debut studio recording “Euclidean Abyss” released on the EMM Label in commemoration of the ensemble’s tenth Anniversary. During his tenure at IEMA, Mr. Kaziboni concurrently served as Assistant Conductor of Ensemble Modern, working on numerous significant projects including Heinner Goebbels opera “Landschaft mit entfernten Verwandten”, Hans Werner Henze’s “Requiem”, Steve Reich’s “Octet” on “Loops and Lines” a ballet co-production with Stadtstheater Wiesbaden. He has also covered the work of many renowned European conductors, including Stefan Asbury, Michael Boder, George Benjamin, Peter Eötvos, Johannes Kalitzke, Franck Ollu, Markus Stenz, Lucas Vis and Jörg Wiedman. In September 2013 Mr. Kaziboni made his subscription debut conducting the Ensemble Modern on a program of Stockhausen and Eisler on the 2013-14 season opening concert of the Happy New Ears concert series at Oper Frankfurt. He has led performances at Gaudeamus Muziekweek (Utrecht, NL), Cresc...Biennale (Frankfurt, DE), Klangspuren Festival (Schwaz, AU), Young Euro Classic (Berlin, DE), Freispiel (Frankfurt/Berlin, DE), Forum für Neue Musik (Cologne, DE), Taschenopernfestival (Salzburg, AU), the Felix Mendelssohn-Bartholdy Hochschulwettbewerb (Berlin, DE), Musik-Festival Quantensprünge (Karlsruhe, DE), and Voix Nouvelles (Royamont, FR). From 2013-14 Mr. Kaziboni was a Fulbright Fellow in Tashkent, Uzbekistan where he conducted the Omnibus Ensemble, the National Youth Orchestra of Uzbekistan and was Visiting Lecturer at the State Conservatory of Uzbekistan. In August 2014 he made his debut conducting the Junge Deutsche Philharmonie at the Freispiel Festival in Berlin and Frankfurt. From 2010 to 2012 Mr. Kaziboni was Assistant Conductor of the Young Musicians Foundation’s (YMF) Debut Orchestra in Los Angeles where he assisted Music Directors Case Scaglione (2010-11) and Jorge Mester (2011-12) and a long list of renowned American conductors that include Toshiyuki Shimada, Michael Tilson Thomas and John Williams. Mr. Kaziboni has also worked directly with many of the leading composers of the day including George Benjamin, Heiner Goebbels, Nicolaus A. Huber, William Kraft, Helmut Lachenmann and Morten Lauridsen. 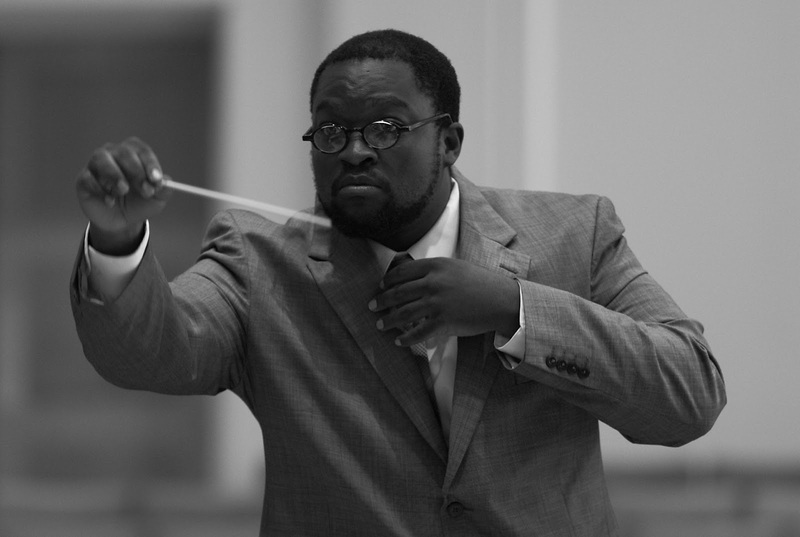 As founding Artistic Director and Chief Conductor of What’s Next? Ensemble since 2008 Mr. Kaziboni has been the guiding force in promoting the group’s philosophy of building up the local new music community through grassroots efforts. Under the auspices of the annual LA Composers Project, now in its sixth year, the group has brought together over a hundred local musicians to perform the music of nearly sixty Los Angeles-based composers. Mr. Kaziboni holds degrees from the University of Southern California (USC) in Los Angeles and the Frankfurt University of Music and Performing Arts (HfMDK). He is an alumnus of the Conductor’s Institute, the European American Musical Alliance, the Salzburg Global Seminar and the Oregon Bach Festival. Mr. Kaziboni lives in New York City.